Visualization has helped millions of people achieve goals. And it can be the most powerful tool for achievement you have ever used. It gives you the power to identify the obliterate roadblocks to progress. It makes your path to success so real that you can almost feel it, hear it, smell it, as well as see it in the mind’s eye. Testimonials from those trained in visualization come from all walks of life. From salespeople whose bottom lines have improved year after year. From managers whose professional standings have continued to rise. And from athletes whose championship dreams have come true. But knowing the many benefits of visualization—hearing the inspiring stories of achievement and glory—does not translate into doing it for yourself…seeing your own successful future. 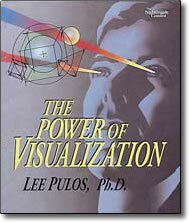 Training in visualization has only been available from experts in sports psychology and personal trainers. It has never been available in any easy-to-learn self-training system. In this ground-breaking program, Dr. Lee Pulos demonstrates and explains this amazing technology for personal change. Here are the keys to making it work in goal achievement, sales, sports, or even in maintaining your health—wherever personal challenges need to be met.